As you might know, June is PTSD Awareness Month. This quote (above)—from a Canadian law enforcement officer—conveys the magnitude of anxiety-inducing encounters officers may face. 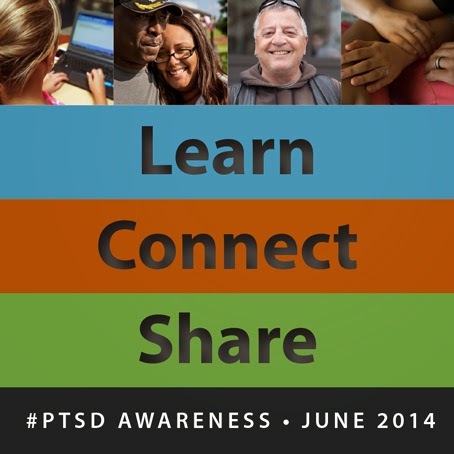 The National Center for PTSD encourages us to learn about posttraumatic stress and spread the word about effective treatment, connect with others to work together, and share information to support those in need. PTSD may manifest in varying symptoms, which could develop soon after the traumatic event, or months or years later. Some common indicators include reliving the event, avoiding situations that remind you of the event, negative changes in beliefs and feelings, and feeling keyed up or jittery. This disorder can affect anyone who has an especially distressing experience, but law enforcement officers may be more susceptible to triggers due to the work they do. According to Cop Shock: Surviving Posttraumatic Stress Disorder (PTSD), by A R Kates, as many as one in three police officers may suffer from PTSD, which could lead to depression, family issues, addictions, and in some cases, suicide. A study published in the Journal of Traumatic Stress found that of 37 police officers who had been involved in serious shooting incidents between 1977 and 1984, seventeen (46%) were diagnosed with PTSD. Of those who were not immediately diagnosed, 17 still had notable PTSD symptoms. Only three officers showed no symptoms of PTSD at all. The National Law Enforcement Museum is being built to tell the story of American law enforcement and make it safer for those who serve. Raising awareness about real dangers that affect the lives of officers, like PTSD, is essential to our mission. Do your part to learn, connect, and share today. "Patterns of PTSD among police officers following shooting incidents: A two-dimensional model and treatment implications"
"Toughing it Out: Posttraumatic Stress in Police Officers"
In honor of Detroit celebrating its first ever RoboCop Day this month, Museum staff thought it would be fun to shed some light on this futuristic cop character and the making of the RoboCop movies. 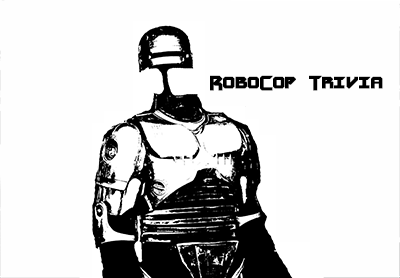 How much do you know about the part-man, part-machine phenom known as RoboCop? When wearing the full RoboCop costume, actor Peter Weller was too bulky to fit into his police car. That's why most shots show him exiting the car or preparing to get into it. When he needed to be in the car, he only wore the top part of the costume and sat in his underwear. Concerned that various police forces would object to the scene of the title character throwing his nemesis, Clarence Boddicker, through glass while reading his rights, the producers had a preliminary screening for an audience of police officers. It turns out that the officers were delighted at the sight of the hero getting tough with a murderer in a way that they couldn't. In Sacramento, California a robbery suspect fled into a darkened movie theatre to escape pursuing police. He became so engrossed in the movie playing on screen—RoboCop—that he failed to notice that police had evacuated all other patrons from the theatre. When the lights flipped on, the stunned man was taken into custody. Even though the movie was set in Detroit, Michigan, most urban scenes in RoboCop were filmed in Dallas, Texas, and Pittsburgh, Pennsylvania. RoboCop 2 was filmed mostly in Houston, Texas, and RoboCop 3 was filmed in Atlanta, Georgia. While filming the scene of the first movie where RoboCop catches a set of car keys, the foam rubber hands of Peter Weller’s costume made grasping the keys quite a challenge. It took around 50 takes and a day’s worth of filming to finally get the scene right. The RoboCop suit for RoboCop 2 (which can be seen in the Museum when it opens) is constructed out of Fiberglass. It made it easier for actor, Peter Weller, to move in the suit and gave it a more metallic look. One of the major plot elements of RoboCop 2 is when the city of Detroit must declare bankruptcy, something the city actually ended up doing in 2013. That’s right. The city of Detroit, Michigan is celebrating the first official RoboCop Day today. To top off the day, RoboCop will throw the opening pitch at the Detroit Tigers game tonight. Given the National Law Enforcement Museum’s recent installation of Peter Weller’s RoboCop costume from RoboCop 2, we thought it would be appropriate to celebrate this half-man, half-machine crime fighter along with them. Take a look at what it took to assemble the costume in our office. According to the Detroit Free Press, “An announcement was to be made today about a RoboCop statue that’s expected to be installed in Detroit this year, but that event and a police meet-and-greet were cancelled.” No word yet on when this statue will be officially installed, but in the meantime, you can look forward to seeing the original costume at the National Law Enforcement Museum when it opens.